If you ever look out on your lawn and see a collection of brown patches, it may be you have problems with a fungal infection. It could also be caused by dog urination or it simply uneven watering or . 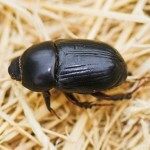 . . you may have issues with Black Lawn Beetles. 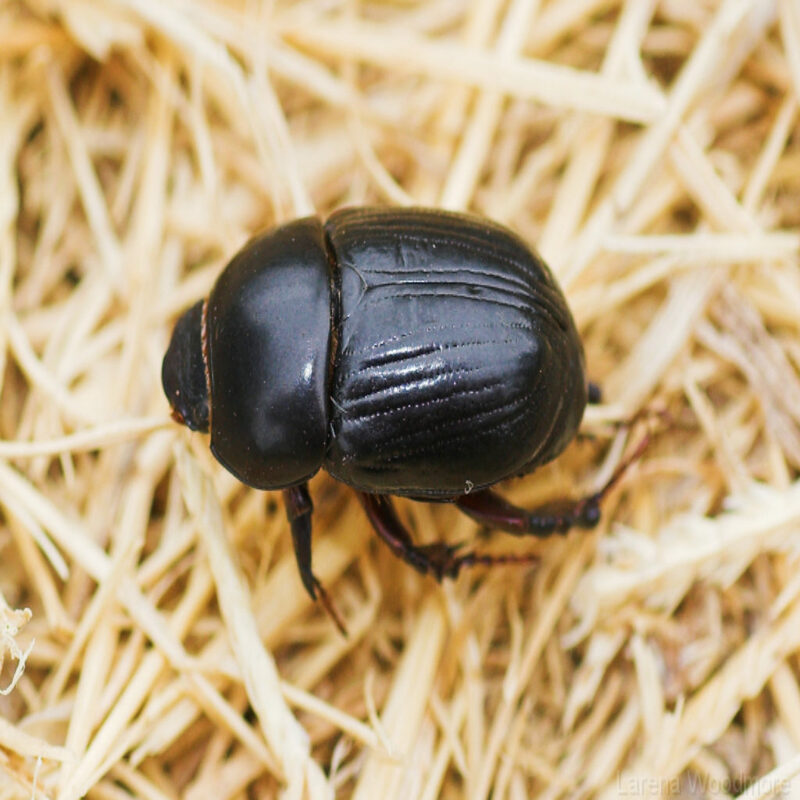 The black beetles you’ll see on your lawn are an introduced species and are actually named the African Lawn Beetle. It’s presence in lawns isn’t uncommon and in fact just about every Western Australian lawn would have the black beetles present and the questions would be are they present in large numbers and is there any damage to the lawn? The adult lawn beetle will chew on grass stems causing fraying as well, will feed on stems of plants and put holes in potato tubers. The more voracious larvae will destroy grasses by chewing the roots so much so that in severe cases, damaged lawn can be pulled up in clumps or even rolled like a carpet. 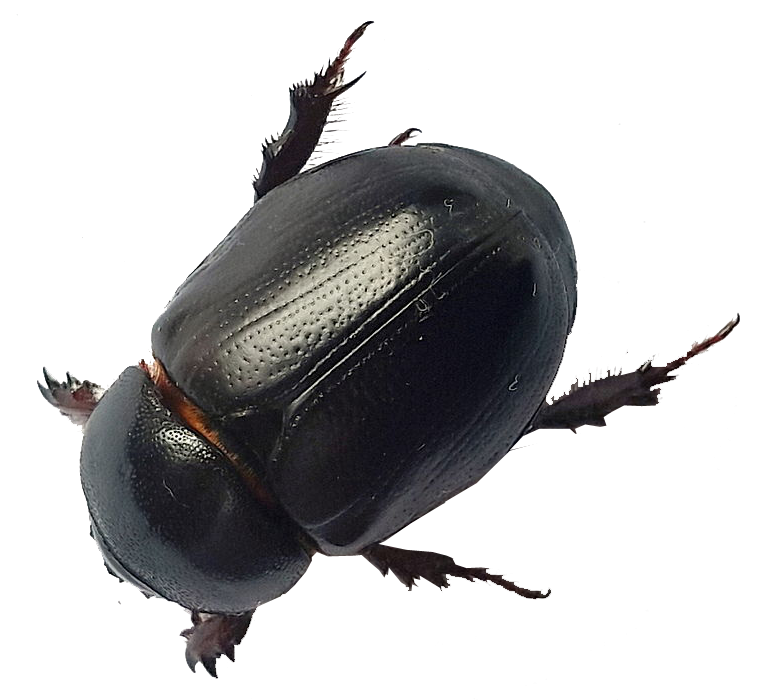 Major problems with lawn beetles can occur in horticultural crops such as vineyards, olives, potatoes and other vegetables where its presence can cause significant damage both physical and financial. 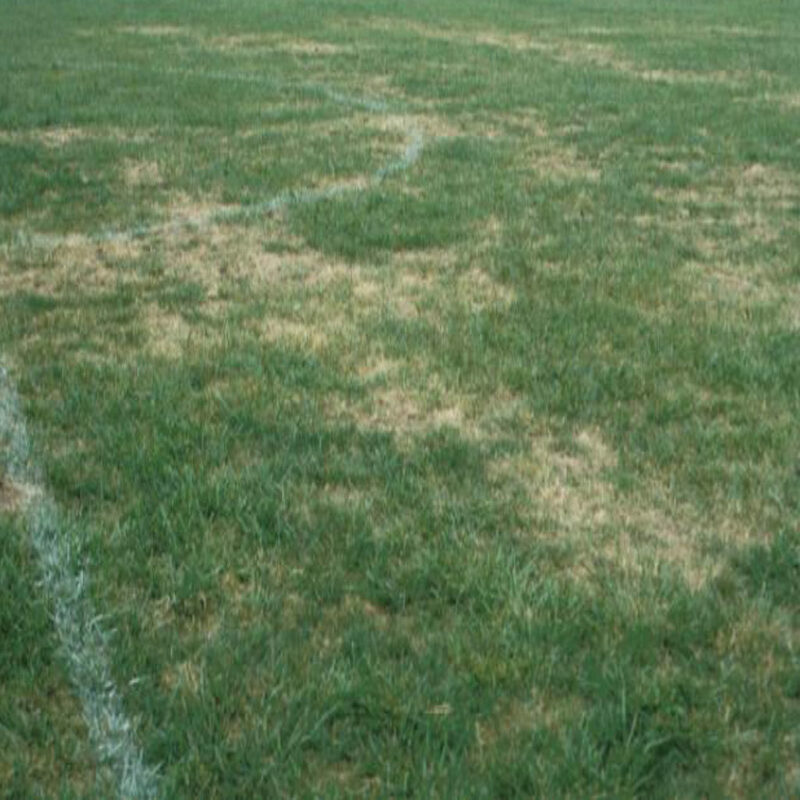 Sporting venues such as football ovals and lawn bowling clubs also commonly experience lawn beetle problems and again, the financial damage inflicted by these beetles can be high and so the control of them is imperative. As mentioned previously, lawn beetles are very common in WA but when they multiply to large numbers it may be time to act to eradicate them, or at least reduce their numbers significantly. 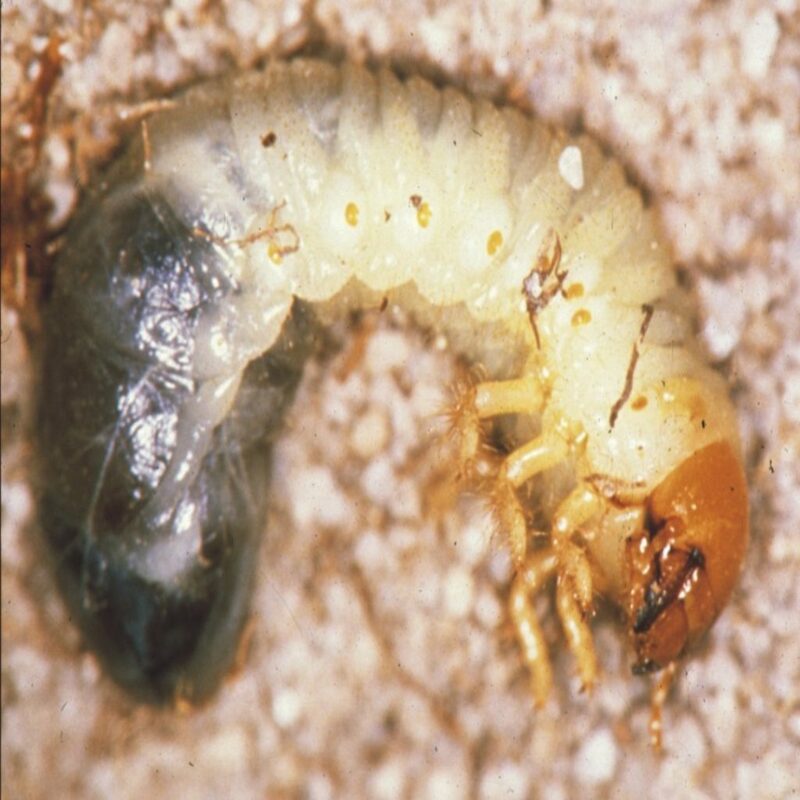 It’s generally thought that when numbers of larvae increase to about 25 larvae per square meter or greater, then a major problem will ensue. So how do you know you have lawn beetles? One method is to throw a moistened hessian bag or piece of carpet on the lawn at a damaged location overnight. The beetles like the moisture and will congregate in numbers by morning. Another test is to throw a bucket of soapy water over the affected areas and this will bring the beetle and larvae to the surface. In severe cases, the presence of a large number of birds may be seen congregating on an area of lawn. This is not that common but it does indicate that lawn beetles are present and probably present in large numbers. 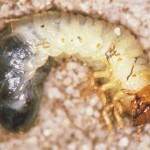 At Perth Pest Control we use a systemic insecticide for eliminating the Black Beetle. This insecticide is water based and is not harmful to humans and has a short term residual effect which means it’s effect on the beetle population will occur both at the time of application and over the ensuing weeks. Contact us for advice and pricing on the treatment of lawn beetles in Western Australia. 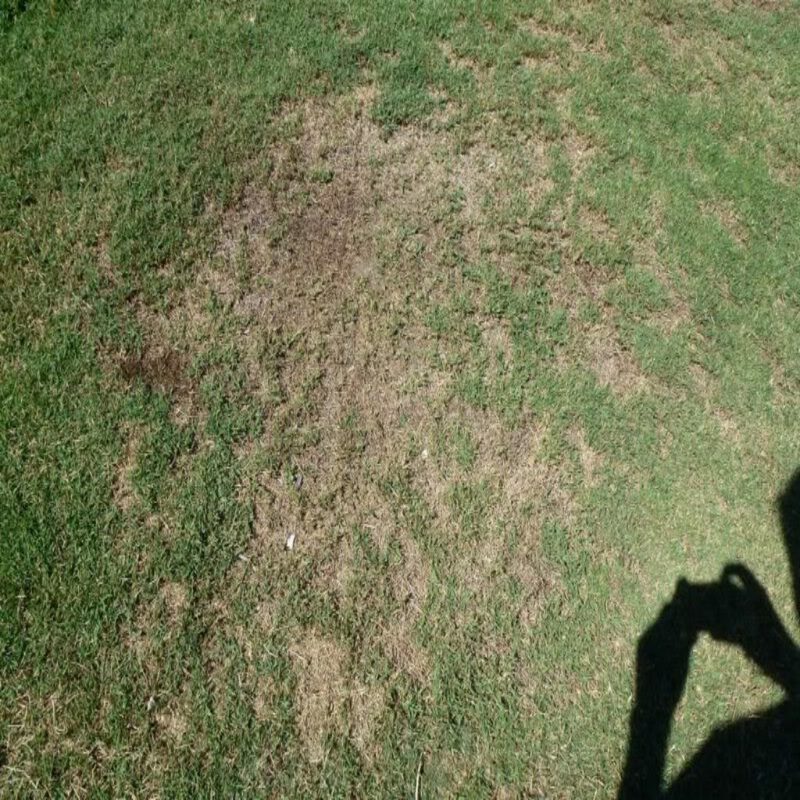 My lawn has developed deadish looking yellow spots could this be because of lawn beetles? Maybe. 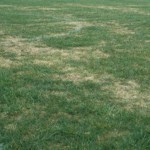 It could be because of one of a number of factors: over-watering, under-watering, fungal problems or even cutting the lawn too low can cause stress on the roots but yes, it may also be because of black lawn beetles or more specifically their larvae. 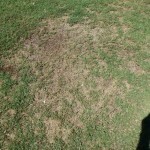 Do a visual check to see if black beetles can be seen and also see if some of the lawn is easy to pull out in clumps.